Summer Soiree - Tuesday Nights! 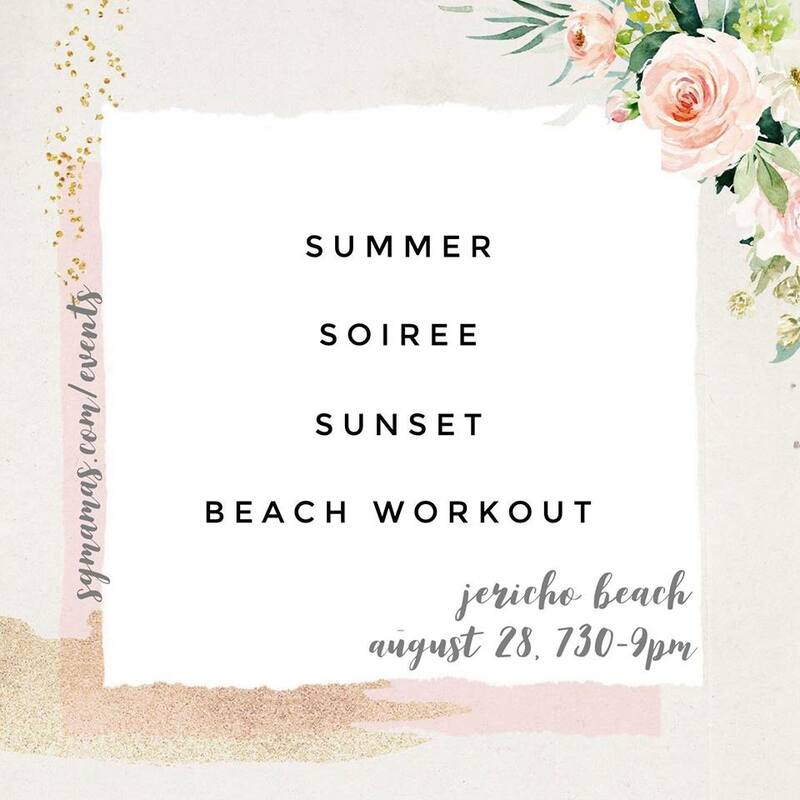 Get ready to party all Summer long together - Something Gorgeous is hosting your weekly Girls Night Out at the beach!! I had the joy of co-hosting my first local North Vancouver event with Joslynn Boyce from JB Wellness on Mother's Day weekend at the F45 Lonsdale Studio . We were overwhelmed by the support from local businesses that partnered with us to shower these deserving mamas with gifts and pampering. We enjoyed delicious treats from Amai Vegan Treats, Cartems Donuts, and JJ Bean Coffee, while listening to wellness talks from Joslynn Boyce on pre&postnatal fitness tips, Lisa Bay, a certified Counsellor , a Q&A with doula Elie Rushton, and myself about how to have more energy as a new mom. A HUGE thank you to all of our generous sponsors that made this event possible!!! We look forward to our next mama meetup!